If you’d like trained professionals to safely restore your fire, water, storm, or mold-damaged home or office, please call us now: 855-4-ALPINE. Alpine has been AMAZING to work with. 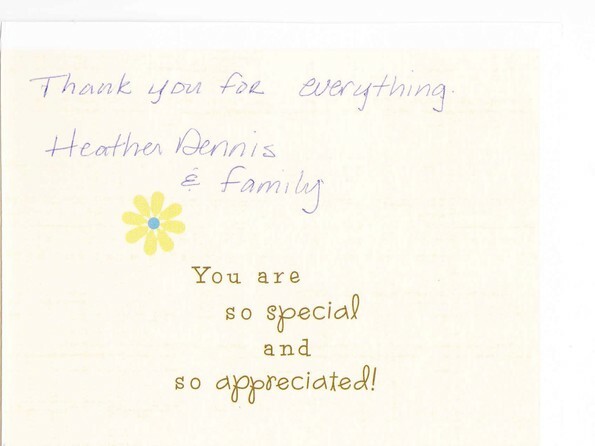 Their professionalism was outstanding and their speed of service was phenomenal. Thank you to all at Alpine (especially Logan, Nick and Ken). Thank you for all your hard work and fantastic service! We have been nothing but impressed with how everything has turned out at our cabin! You are all wonderful!!! On May 5th 2009, our home was almost detroyed by a fire. My husband and I, as well as our children were so grateful for the professionalism and kindness of the Alpine Restoration team. The team showed great repect for our home and for that we are so very thankful. Each member of the restoration team paid careful attention to detail. 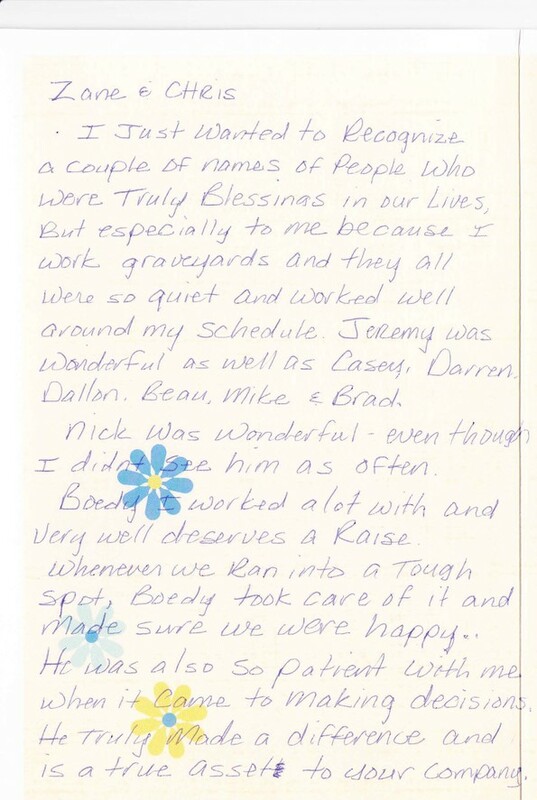 There were no cut corners, there were no missed spaces, and they cleaned our home with great care. Our home looks exactly the way we wanted it. I am happy for the opportunity to get to know such wonderful young men. I know that as they help other families in similar situations… they will treat them as well as they treated us. Recently my wife and I experienced a fire at our home, located at 80 N. 500 W. in Logan, Utah. Fortunately we carried home-owners insurance. Mr. Mark Walton, State Farm’s claims representative, was right on the job, meeting with us the very next day, and viewing the burnt-out mess. Mark assured us it would be cleaned up and re-built. He informed us then that Alpine Cleaning and Restoration, who does all of State Farm’s claims work in this area, would be taking care of the details of the re-building project. 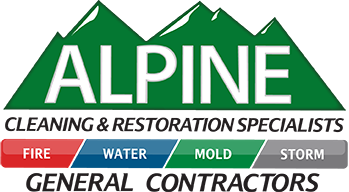 We met Zane Bagley, Alpine’s general manager, and he explained the the whole process and let us know what to expect. We found as things went along, Alpine Cleaning and Restoration, with their sub-contractors, did a very good job in restoring our home. In many ways our restored home is better than the original. Alpine and the sub-contractors were very cooperative in carrying out our wishes in the reconstruction. I refer Alpine Cleaning and Restoration to everyone. I am a property manager for the Woodbury Corporation, recently I had a mold issue in one of the office buildings that I manage. The tenant in this office building is an extremely important tenant and a very precise one as well and having a mold problem is not acceptable at all. I first contacted a different company to perform the mold abatement process, after completion of their work we performed an air spore test of the area and still showed signs of mold. There were a few concerns of how well the other company did, it was at that time that I contacted Alpine Cleaning and Restoration Services, they responded very quickly to my call and within a day had a scope of work provided to me on what needed to be done. Their scope of work was approved and scheduled that same week, and they began their mold abatement process that weekend. They did an outstanding job on providing ideas on what needed to be done and also went the extra mile for my high maintenance tenant. They were very professional and easy to work with. Mike Vroman was my main contact and I could almost always get a hold of him right away when I called and if not he always returned my calls within the hour. Communication is a large part of this business and they were very great on their end. Most importantly, two days after they finished their mold abatement process we had another air spore test performed and passed with flying colors. I would definitely recommend Alpine Cleaning and Restoration Services to anyone. In January 2009 an electric blanket malfunction caused a large fire in my son’s room. Alpine Cleaning, coordinating with our insurance company, spent the next week or so gutting, then rebuilding this room, and thoroughly cleaning the whole house – walls, carpets, cupboards, clothes, bedding. There was no trace of smoke smell or ash dust anywhere in our home. It was beautifully clean! Despite the inconvenience the fire caused our family, we enjoyed everyone we met from Alpine Cleaning, and we were sorry to say goodbye when everything was done. We do not hope for another tragedy, but we would love to see them all again. We just wanted to let you know that we have been in our new house for over a year now and we Love it. We haven’t had any problems with anything and just wanted to let you know we enjoyed working with you and wanted to say thanks again. On July 20th my basement was flooded by a broken water line from my neighbors sprinkler system. The water was pouring into my basement window, even after shutting off the neighbors water. My wife, as I was bailing out the water, called a local competitor. The lady my wife was talking to said they would have someone call us when they were ready to come over to help. They told us an hour or so, because they were on another job. My wife called the fire department only to get a recording. It was then that my wife called Alpine. Kelszi was very professional and understood the problem. She told us an Alpine crew would be at the house in about 30 min. Alpine employees were at our house in under 20 minutes. Alpine handled the problem very professionally. The crew members explained what they were doing and answered all my questions. I was told an estimator would be at the house in a couple days to handle everything. This really took a load off of us. Jon Thompson of Northern Utah Carpet Inc. has done a wonderful job and is an asset to Alpine. Wayne Moore came in and handled the problem very professionally. I feel that Kelszi, Wayne, Jon, and the total staff are why Alpine will be #1 in the whole valley. Your local competition needs to spend more money on training and less on advertising. I again want to thank Alpine and all the staff for their service. Thank you so much for all the friendly and professional service this past month as you, your team, and sub contractors put our home back together after the fire we had. I was so at ease giving you access to our home. It was never a worry of any kind. Having a fire and losing all the things we have was very stressful for me and my family but you have really helped to turn the whole transition into a winning experience. I started this letter with thank you, and I will end it with those words. Every time I hear the name Zane (General Manager) or Chad (Technician) I will think of two good men who helped my family during a very hard time in our lives. I put you two down on my personal list of friends. You do your job with real care and dignity. On July 25, 2007 we had the misfortune to have our beloved cabin in Cache County struck by lightning and set on fire. There are many miracles associated with the extinguishing of the fire, such as having a cell phone work in order to call 911. It had been dead just minutes before the lightning strike. Also it was wonderful that Cache County’s fire trucks were there to fight the fire in a matter of minutes. A further blessing was finding Alpine Cleaning in Smithfield, Utah to clean up the mess and restore the damage. Their crew chief, Zane, was understanding and effective in his efforts to get us back in our cabin in the minimum amount of time. 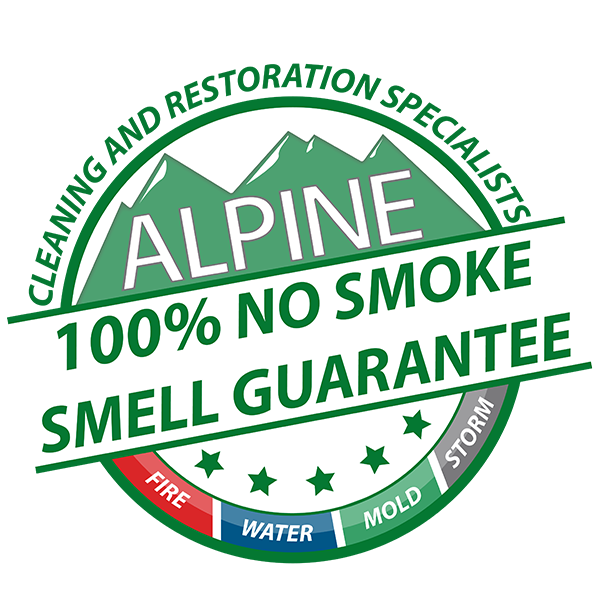 The extra nice thing about Alpine is the many departments in the company that can do electrical, woodworking and sanitizing/deorderizing. There is NO fire smell now in our cabin because each item in the cabin was taken to a deordorizing room at their factory and thoroughly processed so as to remove all odor. We are so greatful to them and so glad to be back in our cabin! I am a property manager for the Woodbury Corporation. I recently had a mold issue in one of the office buildings that I manage. The tenant in this office building is an extremely important tenant and a very precise one as well. Having a mold problem is not acceptable at all. I first contacted a different company to perform the mold abatement process, after completion of their work we performed an air spore test of the area and still showed signs of mold. There were a few concerns of how well the other company did. It was at that time that I contacted Alpine Cleaning and Restoration Services. They responded very quickly to my call and within a day had a scope of work provided to me on what needed to be done. Their scope of work was approved and scheduled that same week, and they began their mold abatement process that weekend. They did an outstanding job on providing ideas on what needed to be done and also went the extra mile for my high maintenance tenant. They were very professional and easy to work with. Mike Vroman was my main contact and I could almost always get a hold of him right away when I called and if not he always returned my calls within the hour. Communication is a large part of this business and they were very great on their end. Most importantly, two days after they finished their mold abatement process we had another air spore test performed and passed with flying colors. I would definitely recommend Alpine Cleaning and Restoration Services to anyone.